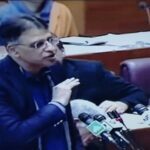 KARACHI: The finance supplementary budget has very nominal impact on revenue collection and it mainly focuses on industrial growth, said a former Member of Federal Board of Revenue (FBR). While commenting on Finance Supplementary (Second Amendment) Bill, 2019, Rehmatullah Khan Wazir, Former Member Inland Revenue (IR), said that it seems FBR has no or very little input in the mini budget. The PTI government presented its second mini-budget in the parliament on January 23, 2019 claiming to focus on promotion of investment, industrialization and agriculture. Talking to PkRevenue.com Wazir said that it is more of an economic package. “It has very little pro revenue provisions,” he added. He said that the reform package apparently aimed at growth, investment and relief. He said that it would reduce cost of doing business particularly cost of exportable goods and would spur economic activities. On the other hand, he said that the government may lose in the short term but in the long term it would earn.